By late 1967, Dublin’s vibrant rock scene was thriving with many newly founded bands playing in universities and clubs around the city. Some were already spreading their wings, and heading further afield taking their music to other parts of the Republic of Ireland. Its music scene had come a long way since the mid-sixties, when it started to take shape. Since then, two recent graduates of the Dublin music scene had gone on to greater things, and were well on their way to becoming international stars. This included Ian Whitcomb and Bluesville and Van Morrison, the former lead singer of Them who had just embarked upon a solo career and released his debut album Blowin’ Your Mind! in September 1967. It charted on both sides of the Atlantic and gave Van Morrison a tantalising taste of the commercial success and critical acclaim that he would enjoy over the next fifty years. Meanwhile, a new group was already making waves on the Dublin music scene, and looked like it would be the next to graduate from the Irish music scene…Skid Row. Skid Row had only been formed in August 1967 by formed The Uptown Band]s former bassist Brendan ‘Brush’ Shiels, drummer Noel ‘Nollaig’ Bridgeman, guitarist Ben Cheevers and vocalist Phil Lynott. They were all experienced musicians, and were veterans of numerous groups. Two members of Skid Row had been in a number of bands together, Brendan ‘Brush’ Shiels and Ben Cheevers. Skid Row they hoped was the band that would transform their fortunes. Given Skid Row comprised experienced musicians, it wasn’t long before the newly founded Skid Row made their debut in September 1967. This took place at basement club in Lower Abbey Street in the centre of Dublin. Little did those that were present that night, realise that they had witnessed history being made and that Skid Row were in the process of writing their way into rock history. By September 1968, Skid Row’s lineup started to change. First to leave was guitarist Ben Cheevers, who decided to continue working full-time in the electrical industry. There was a problem though. Skid Row didn’t have a suitable guitarist lined up to replace him. However, waiting in the wings was sixteen year old virtuoso guitarist Gary Moore who stylistically, modelled himself on his hero Peter Green. Before Ben Cheevers’ departure, Gary Moore joined Skid Row and briefly, they became a five piece band. The two guitarists played together during what was hand over period. When Ben Cheevers left the band in September 1968, Gary Moore stepped out of the shadows and a star was born. 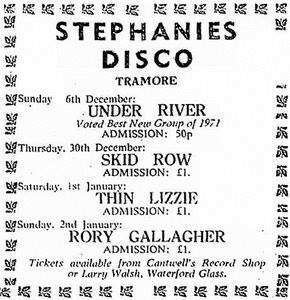 Meanwhile, Robbie Brennan temporarily replaced original drummer Noel ‘Nollaig’ Bridgeman until June 1969. Robbie Brennan featured on Skid Row’s debut single New Places, Old Faces which featured Misdemeanour Dream Felicity on the B-Side. The single was released on Song Records, an Irish label in mid-1968 and featured Gary Moore’s recording debut. Skid Row’s debut single was the only recording to feature vocalist Phil Lynott. Later in 1968, Phil Lynott was dropped from Skid Row’s lineup after a bout of tonsillitis. During his absence, Brendan ‘Brush’ Shiels took charge of lead vocals. This spelt the end of end of the Phil Lynott. During his absence, Phil Lynott spent his time learning to play the bass. This was just as well, as his days with Skid Row were numbered. When Phil Lynott returned from his illness, he was told that Skid Row were about to become a power trio. To compensate the disappointed Phil Lynott, Brendan ‘Brush’ Shiels gave him a bass that he had purchased from former musician Robert Ballagh for £49. Brendan ‘Brush’ Shiels also taught Phil Lynott how to play the bass, which he would put to good use when he formed Orphanage and then Thin Lizzy. However, little did Phil Lynott realise that his sacking from Skid Row was the best thing that happened to him. Not long after this, Skid Row released their sophomore single Saturday Morning Man, which featured Mervyn Aldridge on the B-Side. Saturday Morning Man was released on Song Records. This was the last recording before Skid Row’s classic era began. There was just one more change to Skid Row’s lineup before their classic era began. This was the return of Noel ‘Nollaig’ Bridgeman in June 1969. With drummer Noel ‘Nollaig’ Bridgeman, bassist Brendan ‘Brush’ Shiels and guitarist Gary Moore, the classic lineup of Skid Row would soon emerge as one Ireland’s leading bands. During the remaining of the sixties, and into 1970, Skid Row’ emerged as one of Ireland’s best unsigned bands. They opened for the great and good of rock, including Fleetwood Mac. Peter Green was so impressed by Gary Moore’s guitar playing that he introduced him to Fleetwood Mac’s manager Clifford Davis and executives at the Columbia/CBS Records. This was the break that Skid Row had been looking for. Not long after this, Skid Row signed to CBS, and began working on their debut album Skid with producer Mike Smith. Nine songs were recorded during the session, including a new version of New Places, Old Faces. However, the session wasn’t the most fruitful of Skid Row’s career. 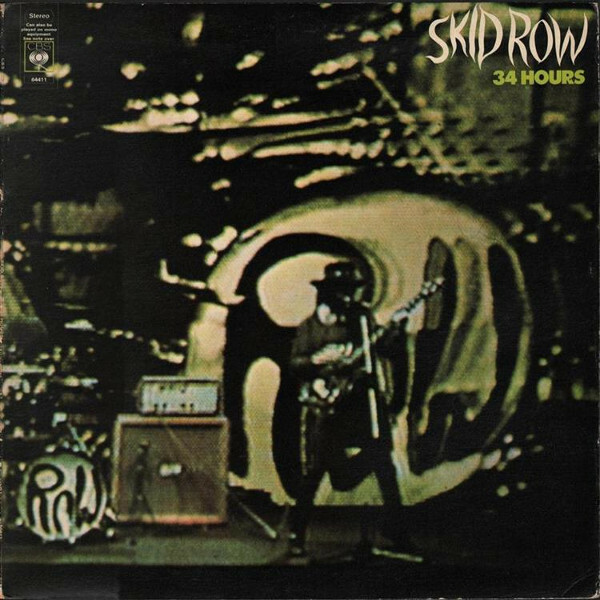 Only two tracks were released by CBS, when Sandie’s Gone (Part 1)and Sandie’s Gone (Part 2) became Skid Row’s third single in April 1970. By then, a decision had been made by Clifford Davis that Skid Row should re-record their debut album, and change some of the songs. The other change was the producer. While some of the Mike Smith sessions were well recorded, he had failed to capture what was an innovative and vivacious band at the peak of their powers. They had honed their sound during their US tour, and in the process, changed rock critics’ perception of what a power trio was capable of. Skid Row’s music had been inspired and influenced by a fusion of country rock and angular progressive rock that headed in the direction of jazz. These songs featured complex arrangements, but Skid Row were a versatile and talented band who were capable of producing virtuoso performances and making it sound easy. To capture Skid Row’s sound would take a special producer, and one who understood what the band were about. Clifford Davis’ suggestion was that Peter Green of Fleetwood Mac produced Skid Row. Skid Row added four new songs to their debut album Skid. By then, Brendan ‘Brush’ Shiels had emerged as the band’s songwriter-in-chief writing Mad Dog Woman, Virgo’s Daughter, Heading Home Again, An Awful Lot Of Woman and After Im Gone. Gary Moore contributed Felicity and the three members of Skid Row penned Unco-Up Showband Blues, For Those Who Do and The Man Who Never Was. These songs were produced by Peter Green. As the sessions for Skid began, Gary Moore arrived with his favourite guitar, a maple Les Paul Standard which Peter Green had sold him not long after the pair first met. While it had been well used, it quickly became Gary Moore’s favourite guitar. He put it to good use on Skid Row, which was just another recording session for the band. They took recording Skid in their stride. For Skid Row it was another day at the office. Skid Row had already recorded a number of live sessions for the BBC Radio and a number of studio sessions. This was all good experience for the band. Especially, when Skid Row went into the BBC studios, which was home to some of the best engineers in London. They took pride in getting the best performance out of the bands that they were recording, including Skid Row. With Skid recorded, Skid Row prepared for the release of their debut album in October 1970. Skid was hailed as a groundbreaking debut album and was quite unlike the majority of albums produced by power trios. It was a cerebral album, that married disparate and unlikely musical genres, while drawing inspiration from all manner of sources during what was akin to a musical roller coaster. 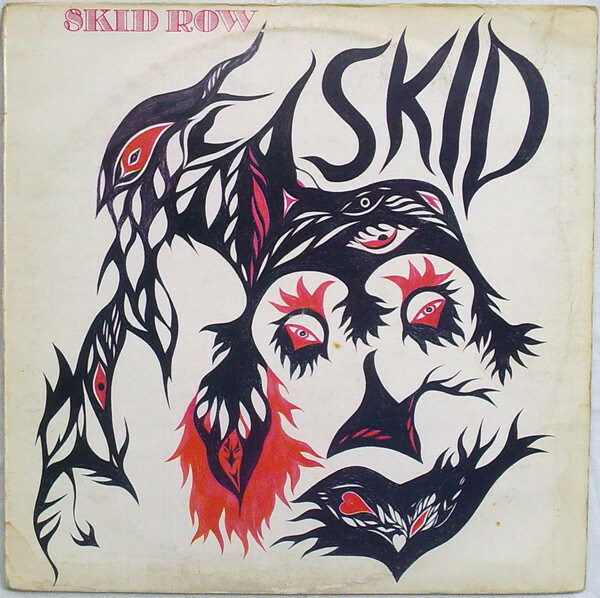 Skid Row flit between and combine elements of various musical genres. This includes blues rock and hard rock, which were important components in their sound. That was only part of the story, as Skid Row were very different to the many blues rock and hard rock bands that were around in 1970. Their sound was much more sophisticated and cerebral as Skid Row take occasional diversions via blues, country, fusion, jazz and skiffle on their genre-melting debut album. It finds Skid Row playing with as one, as they combine speed, accuracy and power on what’s a breathtaking debut album. The music is complex and urgent, as musical butterflies Skid Row flit seamlessly between musical genres. 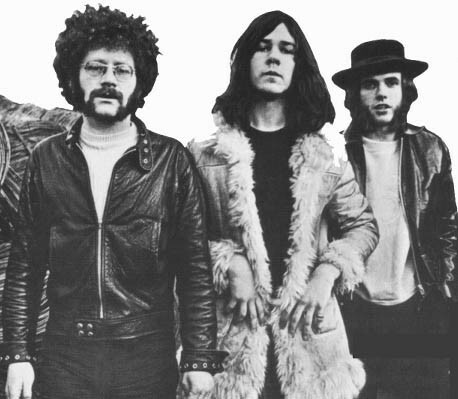 When Skid was released in October 1970, the album reached number thirty in the British charts. Considering this was Skid Row’s debut album, this was a good start to their recording career. By then, Skid Row had moved to London, where they lived in two houses in Belsize Park. However, much of Skid Row’s time was spent touring, and opening for groups like The Allman Brothers, Santana, Ten Years After, Jethro Tull and Frank Zappa and The Mothers of Invention. The constant touring helped to spread the word about Skid Row, whose star was definitely in the ascendancy. However, after tours of America, Britain and Germany, Skid Row returned home to record their sophomore album 34 Hours. For 34 Hours, Skid Row penned Night Of The Warm Witch, First Thing In The Morning, Lonesome Still and Love Story, Pt. 1. Songwriter-in-chief Brendan ‘Brush’ Shiels wrote Mar and Go, I’m Never Gonna Let You, Parts 1 to 4. These songs became 34 Hours. When recording of 34 Hours began, Clifford Davis took charge of production. Watching and learning, was nineteen year old Gary Moore. He and the rest of Skid Row spent just 34 Hours recording the band’s debut album. Critics on hearing 34 Hours realised that it was a much tighter album. It received the same plaudits and praise as Skid, and a great future was forecast for Skid Row. The result was 34 Hours, an album of music that veered between, caustic, cerebral, challenging and complex to energetic and explosive to forceful, urgent and vigorous. Still, Skid Row combined elements of blues rock, country, fusion and progressive rock on 34 Hours. Apart from the country sound of Lonesome Still, 34 Hours is hard rocking album of progressive album that incorporates elements of fusion. This is a potent and heady brew, and should’ve found favour with record buyers in 1971. Sadly, when 34 Hours was released by CBS in early 1971 the critically acclaimed album failed to find the audience it deserved. For Skid Row, this was a huge disappointment. Throughout the rest of 1971, Skid Row continued to tour. However, in December 1971, Gary Moore left Skid Row. Thin Lizzy’s Eric Bell briefly filed the void on a temporary basis. Ironically, Gary Moore would later replace Eric Bell in Thin Lizzy. Paul Chapman then became Skid Row’s new full-time guitarist. However, his time with Skid Row proved brief, and the band split-up in August 1972. While Skid Row reformed in 1973, the original lineup never took to the stage again. Over the next three years, Skid Row’s lineup continued to change, until they split-up for a second time in 2012. That was the end of the Skid Row story until 2012, when the band reformed and released their first new album in forty-one years Bon Jovi Never Rang Me. By then, the only original member of Skid Row was Brendan ‘Brush’ Shiels. While many welcomed the Skid Row’s new album, many couldn’t help but compare them to the two cult classics they released between 1970 and 1971. Skid and 34 Hours and feature Skid Row at the peak of their considerable powers. On Skid and 34 Hours, Skid Row rewrite the rules for future power trios. They created music that was cerebral, complex, hard rocking, innovative and progressive. Skid Row also fused and flitted between disparate and unlikely musical genres during Skid and 34 Hours, which are a reminder of one Ireland’s greatest musical exports during their sadly short but memorable musical career.